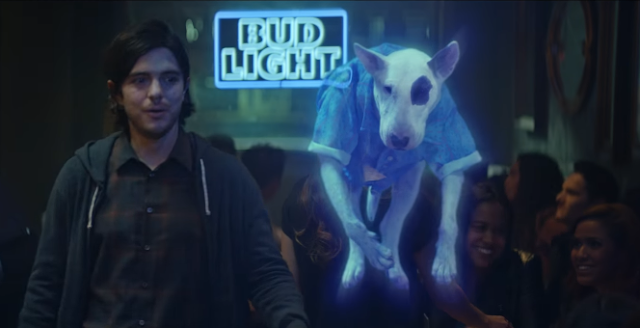 30 years after making his debut at Superbowl XXI, Spuds MacKenzie has returned (in spirit) to a new TV commercial for Bud Light. For 3 years in the late '80s, Spuds was the hippest dog on the planet appearing in several commercials and serenaded by the voice of Lifestyles of the Rich and Famous host Robin Leach (who has also returned for the new ad.) Spuds' image became so large that Anheuser Busch retired its mascot in 1989 for fear the popular pooch overshadowed their products.